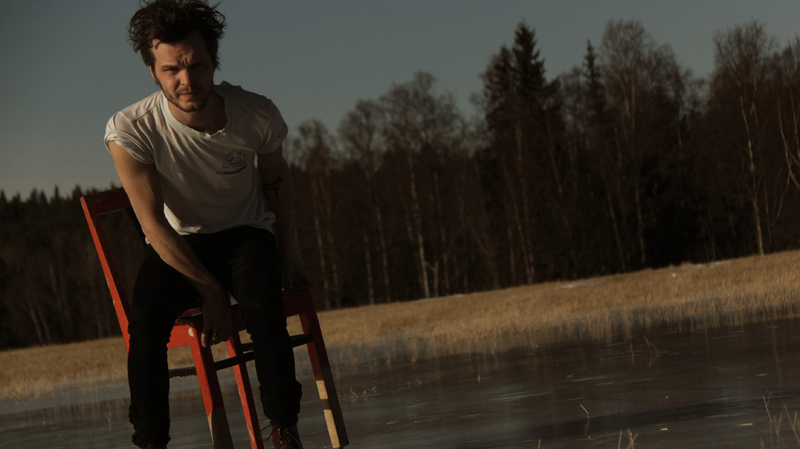 The Tallest Man On Earth: Tired Of Running On Kristian Matsson's latest album, acoustic instruments provide the frame for pastoral poems about confronting anxiety. There's No Leaving Now, Kristian Matsson's newest album as The Tallest Man on Earth, comes out Tuesday. Swedish singer-songwriter Kristian Matsson performs as The Tallest Man on Earth. That's just his stage name, though: Matsson himself stands at about 5 feet 7. His new album, There's No Leaving Now, comes out Tuesday. Matsson has been praised as a poet, and is frequently compared to Bob Dylan. He often sings about nature, inspired by the scenery near his home in Falun, Sweden. "Outside my window is a big field, and maybe 200 meters down, there's the river, and on the opposite side of my house, there's the woods," he says. His music can be mellow — it's constructed from simple folk-music ingredients — but that's not how Matsson says he sees himself. "As you can probably hear, I'm kind of a stressed-out guy," he says. Matsson says he's dealt with stress and anxiety in his music, and his older songs often return to the theme of running away. But on his new record, he brings a fresh outlook: a feeling of wanting to confront, not run. His recent marriage seems to have made him stronger. "This whole album is about wanting to stay and deal with your own weaknesses and wanting to deal with your anxieties and stuff," he says. The new Matsson says he channels his anxiety into his performances. "When it's just me, I have to reach out to the audience and try to bond a little with them," he says. "In another way, they're all I've got."